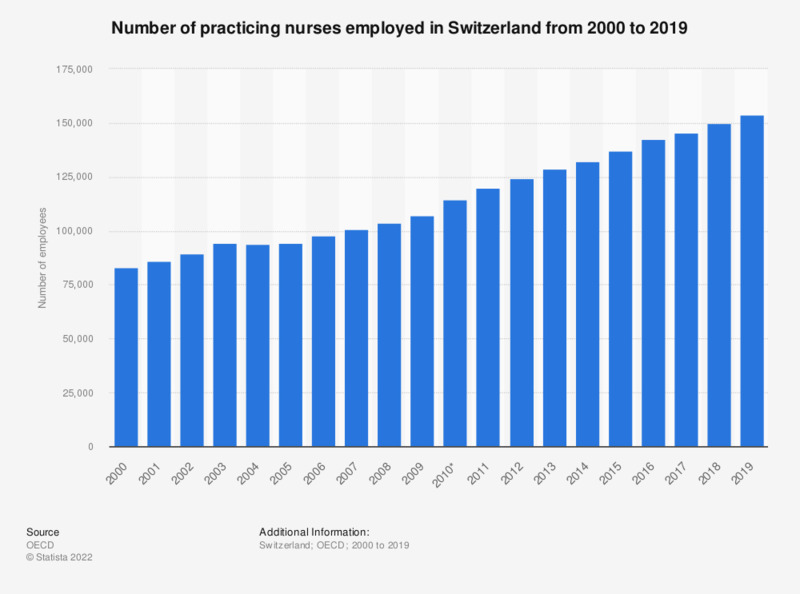 This statistic displays the number of practising nurses employed in the health sector in Switzerland from 2000 to 2016. The number of nurses employed in Switzerland increased to 142,522 in 2016. Data from 2000 to 2009 is estimated.